The federal agency reviewing Alaska’s ambitious North-Slope-to-Asia LNG export project has pushed back the timeline for finishing that review. The Federal Energy Regulatory Commission, or FERC, announced on Feb. 28 that it has pushed back the deadline for its final decision by four months. 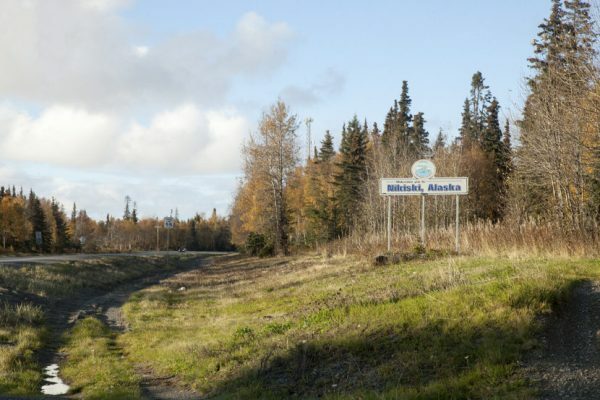 “The new schedule indicates that the final permit for the Alaska LNG project will be delivered in June of 2020,” said Alaska Gasline Development Corporation spokesperson Tim Fitzpatrick. In its notice, staff at FERC attributed the delay to the state’s gasline corporation. The corporation has filed hundreds of thousands of pages of environmental and engineering data to the federal agency — all in the quest to get that final permit to build the 800-mile long pipeline and plant. But the federal commission is still waiting for information on everything from fire safety and underwater pipeline crossings to maps showing seismic hazards near the pipeline. A final decision from the federal commission is contingent upon the state corporation providing all of the data that it wants — so the schedule could still be revised. The $43 billion project has seen some upheaval in the last few months. Negotiations with potential buyers and investors in China were scheduled to end in December. That deadline passed with no deal. Gov. Mike Dunleavy took office and then shook up the corporation’s board. That board then fired the corporation’s president in January. Dunleavy’s budget team also wants to claw back about $5 million given to the state corporation last year.